Operational Status: Repairs to damaged No 2 traction motor underway. Class 26 D5310 started a new chapter in the LDG’s history. 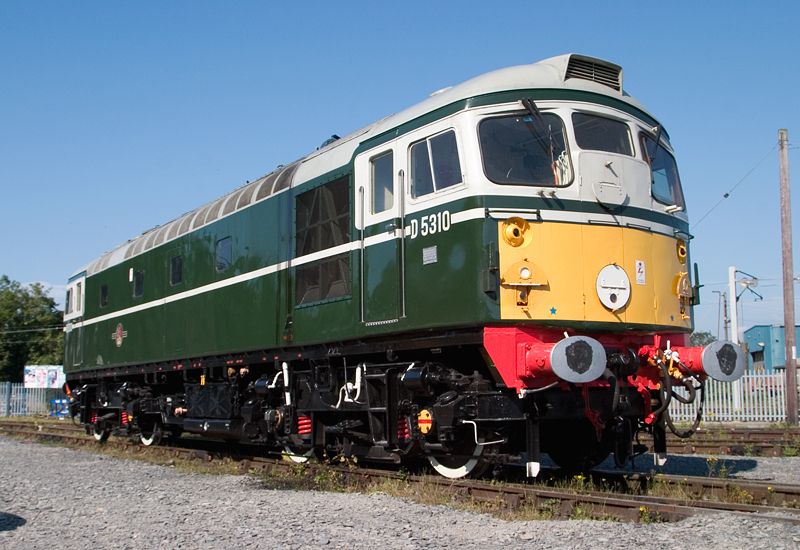 She was purchased by the Group to offer the Llangollen Railway a dedicated Type 2 standby locomotive that can provide a short-notice replacement for a steam (or diesel) locomotive failure. The 1958 built Birmingham Railway Carriage & Wagon (BRCW) Sulzer Type 2 was acquired from Matt Stoddon, who achieved nothing short of a minor miracle with the loco. Having arranged for an extremely comprehensive bodywork overhaul to be performed at the Great Central Railway in 2006, the loco suffered a main generator failure shortly after returning to traffic. The errant generator was fully overhauled and rewound and the locomotive then settled down to become a popular and well-travelled performer at various diesel galas around the Country. She was delivered to the Llangollen Railway on Wednesday 9th September 2009. The loco is currently out of traffic following the failure of a bearing in No 2 traction motor in July 2018. Repairs are due to begin off the railway in May 2019. 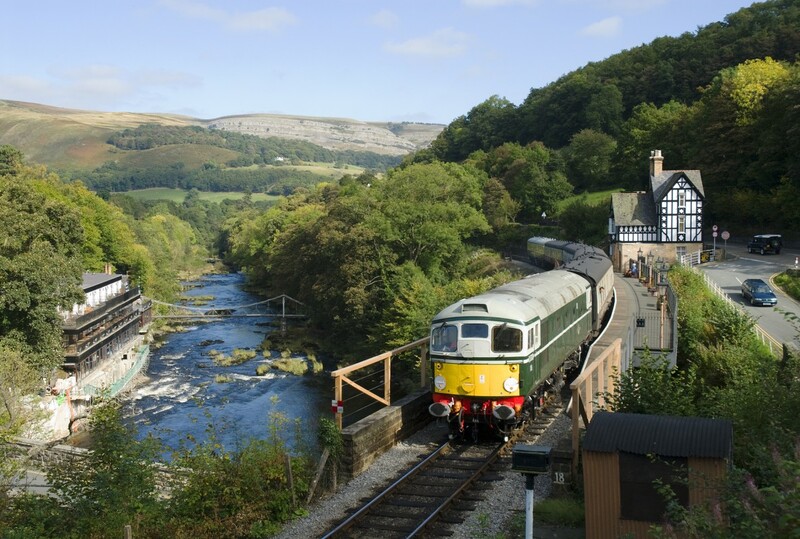 A full repaint has been carried out in readiness for a planned return to traffic in Summer 2019, with a return to Llangollen planned for October 2019. 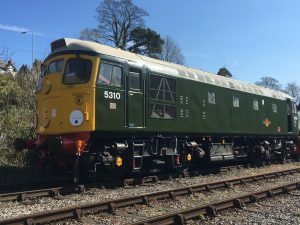 A resplendent D5310 at Llangollen on Friday 29th March 2019 following completion of her repaint into plain BR green with full yellow ends. Photo by Mark Smales. Until her unfortunate failure in 2018, D5310 has been a proven, capable and most welcome addition to the LDG fleet for 9 years. 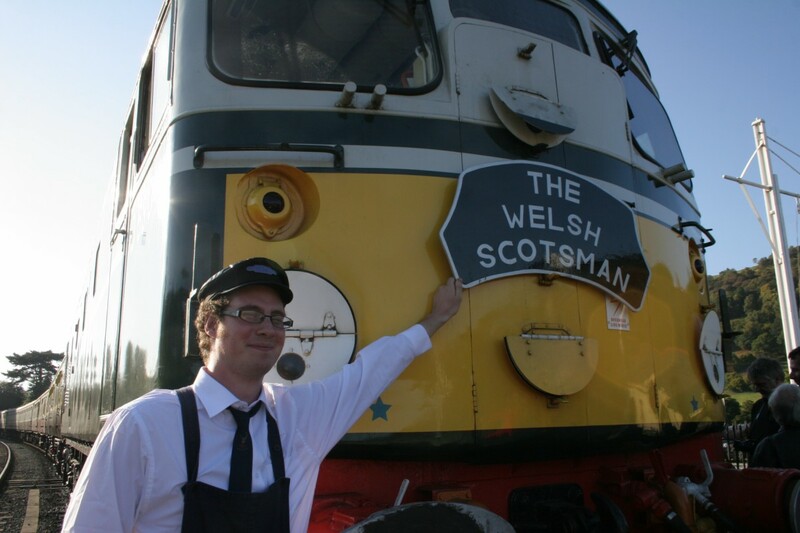 Her Welsh debut in traffic to the public was on Saturday 26th September 2009, which was attended by all owners of the loco in preservation so far. 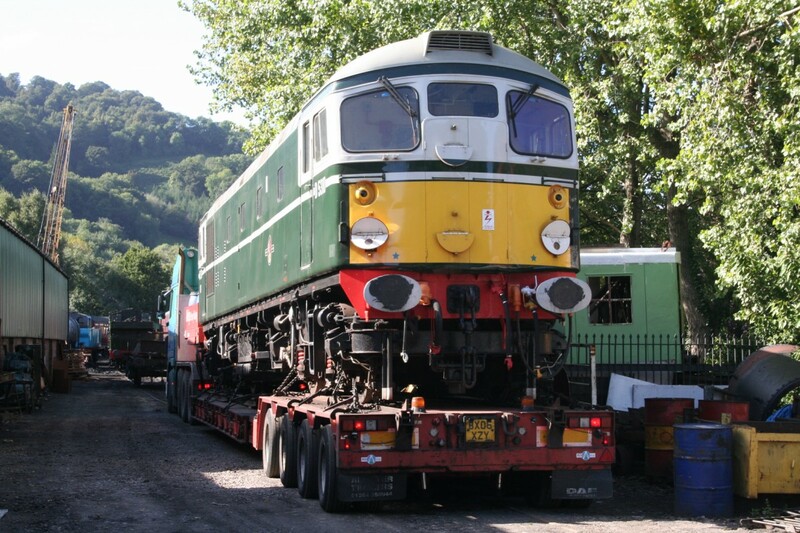 The photo below, courtesy of Simon Searle, show her arrival at Llangollen on the 9th September 2009. The loco worked all but one of our 2010 running days and at both 1960’s and Diesel weekend. In 2011, she has continued to work regularly at Llangollen and also travelled to the Wensleydale and Severn Valley Railways as a gala visitor. She has performed impeccably, receiving only minor attention to a few little niggles since arrival at the railway. A problematic brake changeover valve has been replaced, the load regulator changed for a spare as the original was producing an over voltage as the loco took power and some minor oil leaks have been sorted. A most odd fault that saw the engine shut down when the loco ran over rough rail joints or someone slammed the eletrical cubicle door was (eventually and after much head scratching) traced to a loose leg on a circuit breaker mounted in the cubicle. This was replaced in 2009 and all has been well since. 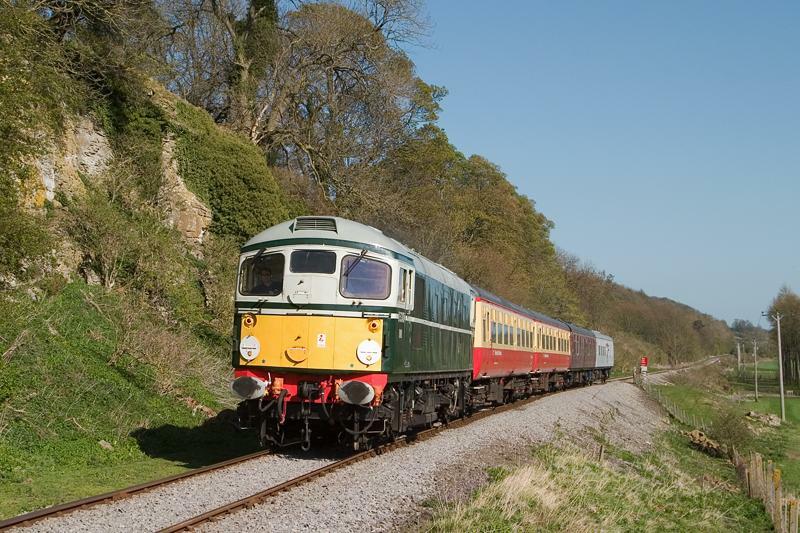 The superb photo below, taken by Richard Jones, shows our “Gog Rat” leaving Berwyn on her debut running day in beautiful Autumn sunshine, Saturday September 26th 2009. Such an appropriate date! 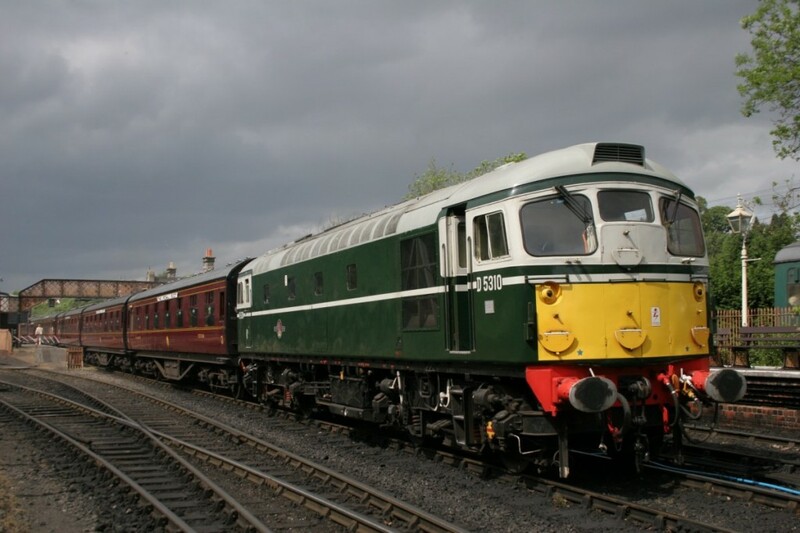 Another busy year for ‘MacRatten’ – she has visited both the Wensleydale and Severn Valley Railways for special events as well as running at Llangollen on numerous occasions between January and May. She has performed very well, having 100% availability so far (fingers crossed). The loco again continues to demonstrate what a fantastic acquisition she has been and, at over 50 years old, a tribute to the rugged designs of BRCW, Sulzer and Crompton Parkinson. D5310 in the Valley – waiting time at Bridgnorth with a 7 coach rake of LMS stock, May 20th 2011. Photo by Tez Pickthall. Other than a couple of dead cells that required replacement in the battery box, D5310 has enjoyed a busy and reliable 4th season at Llangollen, working several running days and at all our special events. The loco is due an oil change over the winter of 2012 and also needs attention to the electrically powered radiator fan, which appears to have an intermittent fault. 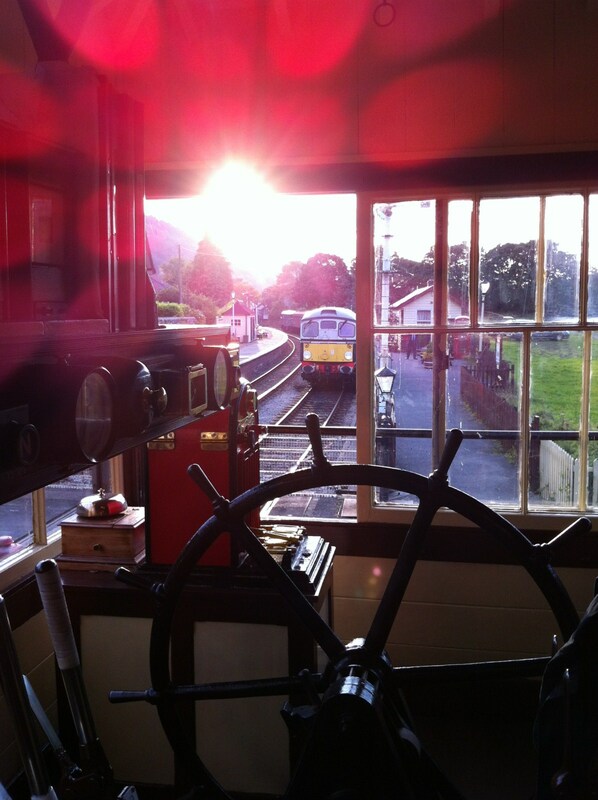 The photo below shows her glimpsed from Glyndyfrdwy signal box on Saturday 22nd September 2012 as I waited for the token to give us permission to head to Llangollen with the last train of the Autumn Diesel Day. 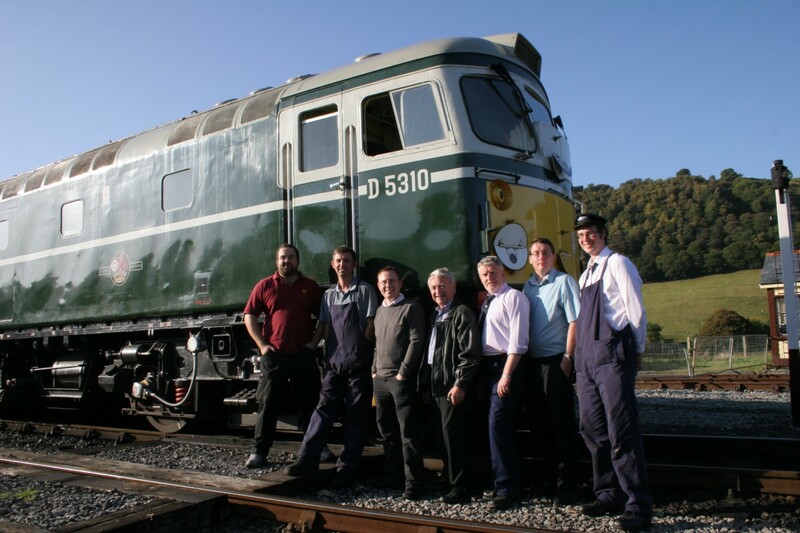 With Class 31 5580 on the rear, this train had just made history as it was the first diesel locomotive-hauled train ever to work west of Carrog to Bonwm and back. The 26 hauled the train back from Bonwm.